Greg Gabriel: Should The Bills Trade Up For A QB? 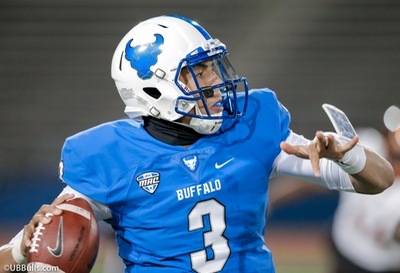 Going back a few months there has been constant talk that the Buffalo Bills should use some of their load of draft choices to move up in the first round of the 2018 NFL Draft to select a quarterback. If there were a few players certain to be outstanding quarterbacks in the Draft, I might agree with that option but as I look at the Draft now I would say…NO WAY! While many think the Bills have a bevy of draft picks, they really don’t. They have two first round picks, two second round picks, a third, a fourth and two fifths. As of right now, they don’t have a selection in the sixth or seventh round. That means eight picks, which is hardly a huge amount. Where Can They Trade Up To? The Bills picks in the first and second round are in the bottom third of each round. With the current trade chart, that is not what I would call good ammo to move up. If the Bills used both of their first round picks to trade up, it would get them to at best the sixth pick but more likely the seventh selection. The Bills picks are worth 800 and 780 points respectively. That totals 1580 points. The sixth pick in the draft is worth 1600 points so the Bills don’t have quite enough to get there. It would cost them a sixth round pick also and that is a pick the Bills don’t have. The draft trade chart is not an absolute, it is more of a guide for a starting point in a trade discussion. Each year the value of the players at the top of the draft is different depending on the strength and weaknesses of the draft and the teams that holds those selections to begin with. Trading Partners: Browns or Giants? When you look at this year’s Draft and the needs of the teams at the top, that could change the value of trading. At least four teams drafting in the top eight have a need at quarterback. Cleveland, which has the first and fourth selections, has a strong need. The New York Giants, who pick second, also have a need as Eli Manning isn’t getting any younger. Denver has the fifth pick and they also have a strong need. The Broncos selected a quarterback in the first round two years ago when they selected Paxton Lynch, but he has failed to live up to expectations. The Denver staff is coaching at next week’s Senior Bowl and will have the opportunity to work with four of the quarterbacks in the Draft. By the end of next week, they may already know if they will use that pick on a quarterback. The New York Jets select sixth, and right now their starting quarterback Josh McCown will be 39 when training camp opens next July. Their two backups, Bryce Petty and Christian Hackenberg, are hardly NFL starting caliber quarterbacks. If each of those teams used their first round pick on a quarterback that means four would be gone by the sixth pick. That also means the Bills would not have a chance at one of those players, as they just don’t have the ammo to get that high. Reality is four quarterbacks will not go in the top six mainly because the quarterback class isn’t that strong. Last year the first three quarterbacks selected went at picks two, ten and twelve. The talent level of the three quarterbacks selected (Mitch Trubisky, Deshaun Watson and Patrick Mahomes) is better than the quarterbacks at the top of this years class. Sure, teams could force their picks and select a quarterback, but reality is there will be better players at other positions in which to choose. One thing is certain, if a team selects a quarterback in the top 10 of the first round and that player fails, the odds are very strong that the people making the selection will not be with the club in three years. We see it happen all the time. With quarterbacks, the evaluation process is hardly finished. Private workouts and classroom work have more to do with the final grades on quarterbacks than any other position. Knowing that, it will be the end of March or beginning of April before most clubs place their final grade on each quarterback in the class. 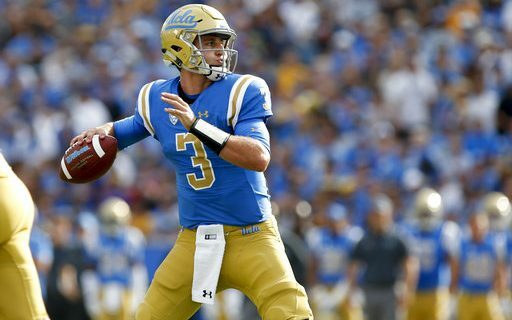 At the quarterback position, the draft analysts are almost never close to being accurate unless there is no question that there is one or two who are head and shoulders above the rest of the draft as far as value. There isn’t a Jameis Winston and Marcus Mariota in this Draft. Nor is there an Andrew Luck. Last year even two or three days before the Draft, no analyst (except me) had quarterbacks going in the top 10. For the most part they said two could go and they would most likely go in the 20’s. I said for months that three could go in the top 10 and it ended up being three in the top 12. I think they are over-rating this class because they were so wrong last year. Sure the top guys have talent and some teams need them, but none are sure-shot NFL quarterbacks. They all have flaws. Yes, two could go in the top five, but it’s my opinion that that the teams making those selections will be forcing those picks. Later this week, I will begin breaking down each of the top quarterbacks in this class and then you can decide for yourself if the Bills should move up to select one.